Geoff spent the day with his son in law and family friend and came in with the biggest trout of the day! 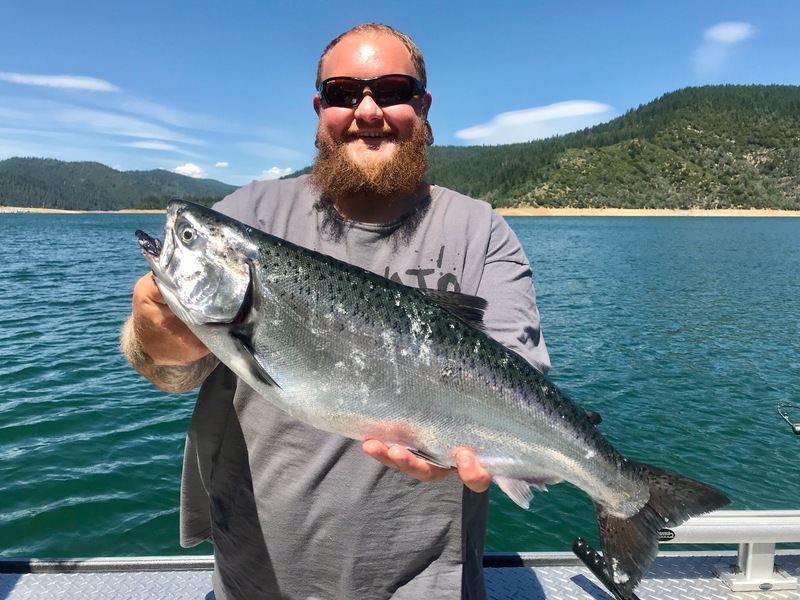 Today we fished Shasta Lake and found a really good bite up in Hirz Bay. I typically don't fish up that high this time of the year, but it was near where todays group was staying. The cooler water is still sitting about 50' below the surface, even up in Hirz Bay so it worked out better than expected. 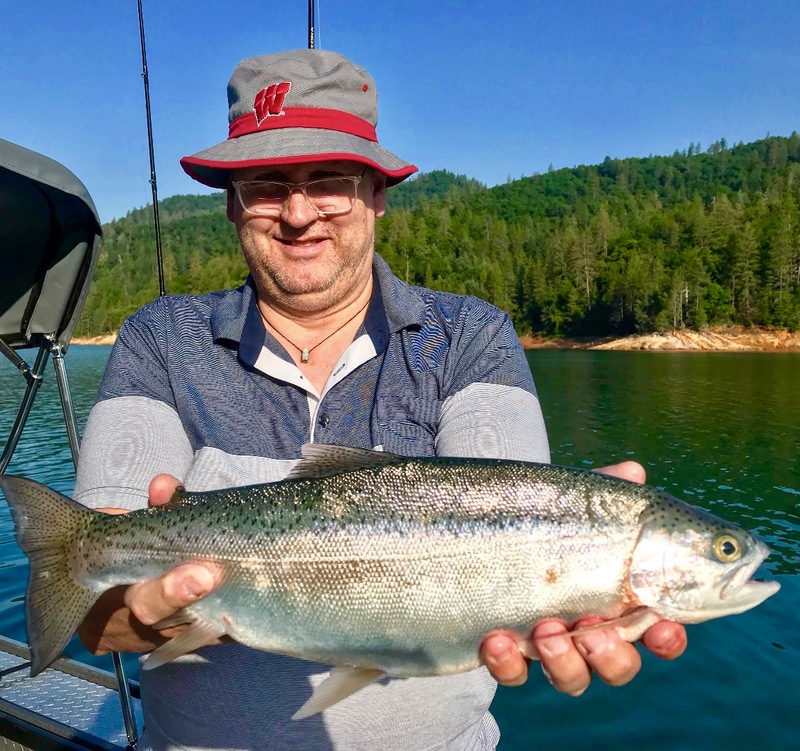 Very few boats and lots of bites for everyone to enjoy made for a great day of fishing on Shasta Lake! 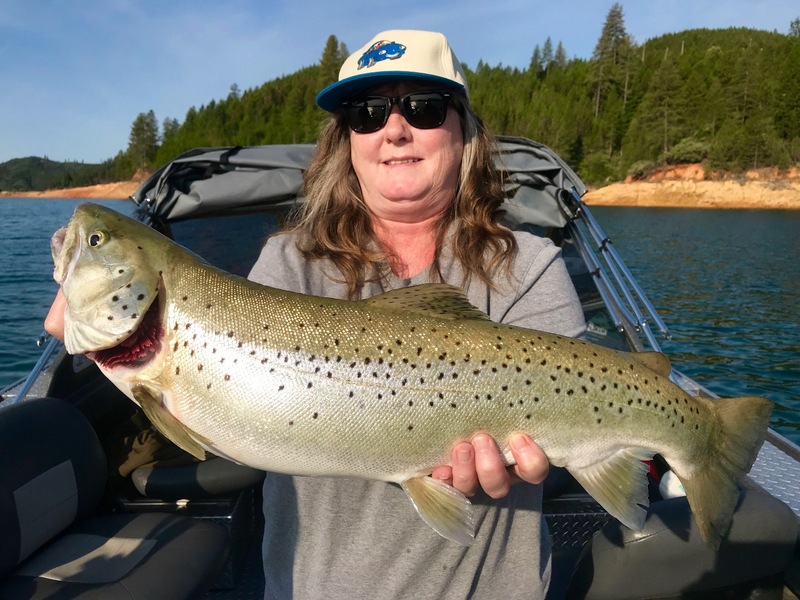 The trout are still scattered throughout the water column, some deep and some shallow. As the Shad move into the main body and off the shallow sections of the lake, we should see some better numbers coming in daily. I did see a Shad ball in Packers Bay yesterday in deep water so thats a good sign for some action packed days ahead.